(ICTY) was the first international tribunal to indict a sitting head of state. The ICTY charged Yugoslav President Slobodan Milosevic and four other senior officials with war crimes and crimes against humanity in Kosovo. What lessons can be drawn from the Milosevic experience with regard to al-Bashir and the ICC? Firstly, there are numerous parallels between the conflicts in Darfur and Kosovo. Both took place in some of the most distant and most neglected provinces of a multi-ethnic state. Both Sudan and Yugoslavia are, or were, artificial post-Imperial constructs, with a weak central government and arbitrary borders that did not respect actual communal boundaries. Sudan was constructed partly out of the wreckage of the British empire, Yugoslavia welded together from the remnants of the Ottoman and Hapsburg empires. In both states a powerful minority sought to accumulate and near-monopolise both national wealth and political power – the riverine Arabs of Khartoum and the Serbs in Belgrade. Khartoum and Belgrade both faced armed uprisings from their discontented minorities, organised in Darfur by the myriad of rebel groups, and in Kosovo by the Kosovo Liberation Army (KLA). Like Belgrade, Khartoum has also made extensive of paramilitaries, the Janjaweed, who are responsible for many of the worst atrocities against civilians. Perhaps the sharpest parallel is the way that President al-Bashir, like Slobodan Milosevic before him, has run rings around the international community and its faltering series of peace proposals. Slobodan Milosevic denounced the ICTY when it indicted him, just as President al-Bashir has pledged that no Sudanese will ever be surrendered to the court. Yet in February 2002 Milosevic still found himself standing in the dock, flanked by two burly UN guards. He never saw Belgrade again. A little over four years later, in March 2006, he was found dead in his cell, his trial still unfinished. The Milosevic trial was confused and unwieldy, yet the former Serbian leader was at least called to account. Can we expect that one day soon President al-Bashir will stand in the dock at the ICC for the atrocities in Darfur? It is unlikely, but possible, I argue. The key difference is that by the time of the Kosovo war the west, specifically the United States and NATO, realised that Slobodan Milosevic was no longer part of the solution, to be courted by international envoys and feted as a peacemaker. Milosevic was part of the problem, it was finally understood, and indeed seemed about to trigger a regional war involving Albania, Macedonia and even Greece and Turkey. So much so that he had to be got rid of. The rights and wrongs of NATO’s Kosovo intervention aside (and I believe that it was right to intervene), the bombing campaign and subsequent occupation of Kosovo brought home the reality of war to Serbia and its population for the first time. It was a strange anomaly of the Yugoslav wars that while fighting raged in Croatia and Bosnia from 1991-1995 Serbia remained peaceful, and Belgrade an oasis of bars and nightclubs. During the NATO bombing Serbs rallied round the government in a robust example of the Blitz spirit. But once the conflict was over a sour resentment against Milosevic finally curdled into action. The final trigger was his attempt to steal the election in late September 2000. That sparked the momentous events of October 5 when hundreds of thousands of demonstrators stormed the government buildings in Belgrade. By the end of the day the Milosevic era was over. Regime change seems a distant prospect in Khartoum. There is no equivalent nascent civil society in Sudan to be nurtured by western governments, nor any prospect of angry Sudanese youth rallying in their hundreds of thousands in the capital to bring down the government. 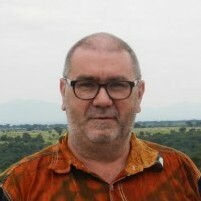 Nor does there seem to be a ready made equivalent of Vojislav Kostunica to “˜democratise’ Sudan. On the contrary Al-Bashir and his ministers have proved extremely skillful in easing pressure over Darfur by presenting themselves as allies in the “˜War against Terror’. While the State Department thunders about human rights violations, the CIA is holding cosy meetings with some of those responsible for organising the ethnic cleansing in Darfur. Faced with a potential break-up of Sudan and increasing fears of Al-Qaeda in the horn of Africa, the west is extemely unlikely to work to bring down the al-Bashir government as they did against Milosevic in 2000. What is possible is that the al-Bashir regime will crack and splinter under the pressure of any indictments, which do at least focus minds. There is nothing like the prospect of foreign bank accounts being frozen and a lifetime travel ban to the west to make former allies reveal all they know of each other’s misdemeanours. The lesson of Milosevic is that should al-Bashir be indicted, he could still fall, if the divisions within the Khartoum elite are skilfully enough exploited and enough deals can be struck for allies to turn on each other. That may or may not result in meaningful regime change. And whether that in turn brings peace to Darfur is another story. Adam LeBor is the author of Complicity with Evil: The United Nations in the Age of Modern Genocide. Adam LeBor’s contribution invites one comment based on Sudan’s history. Twice since independence, Sudanese civil society has led a non-violent popular uprising that has brought down a military dictatorship, once in 1964 and the second time in 1985. Sudanese activists long for a third intifada that will bring democracy and justice to Sudan. However, most agree that the prospects for this are remote. On seizing power in 1989, one of the first acts of Pres. Bashir and the National Islamic Front was a campaign of repression and terror aimed at civil society groups. It was sadly effective. But perhaps even more effective at dismantling the capability of Sudanese civil society to mobilize has been the commercialization of the voluntary sector. Long gone are the days when professionals, students and ordinary citizens mobilized in a spirit of voluntarism–today most in the NGO sector are concerned with writing their grant proposals. Once a vibrant force, Sudanese civil society is today a shadow of its former self.